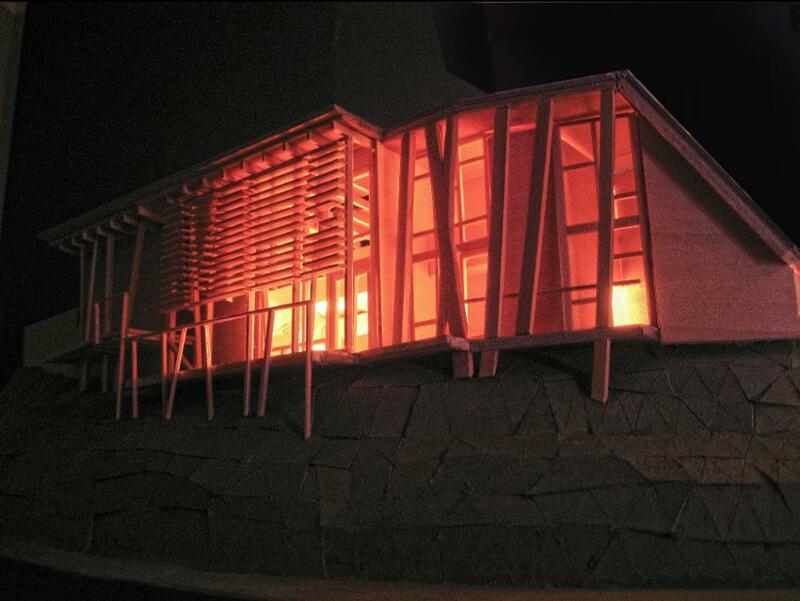 One of the renderings generated to convey the aesthetic sensibilities we were working towards, a construct that is visible, but subdued and respectful of the natural surroundings than its neighbors. This home in the Oakland Hills was designed to be minimally visible from above and below. 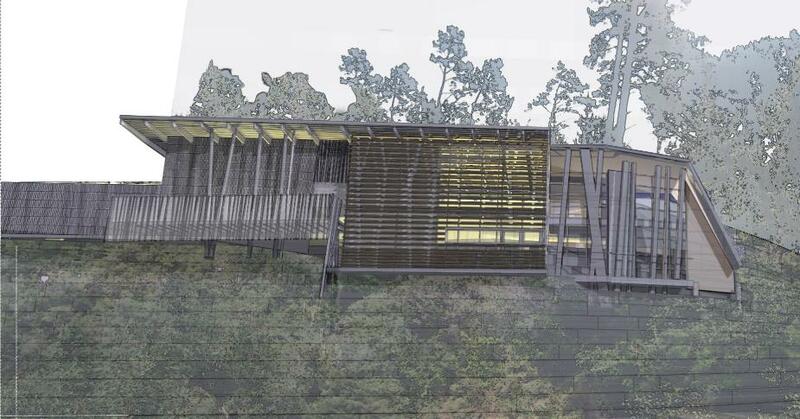 From below, as rendered here, the structure and slats are designed to reflect the wooded surroundings. 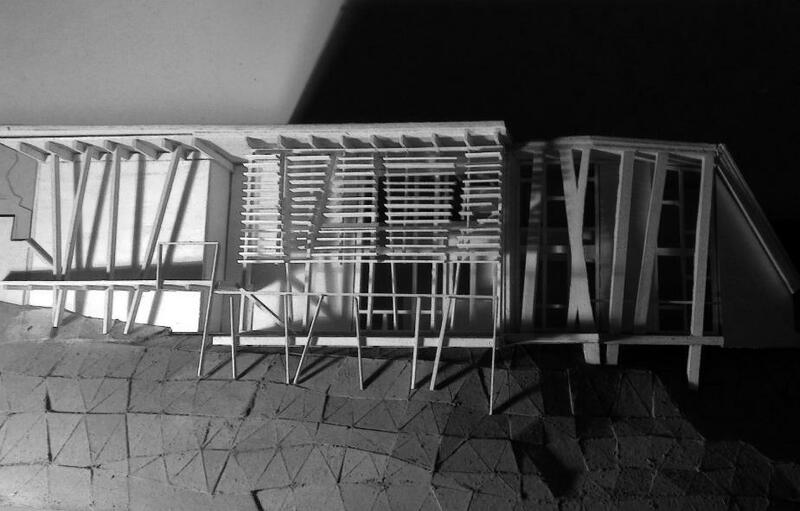 Coordinated notches in the wood slats at the double height living room create tree-like patterns, and the home is long and narrow to follow the linear terrain. 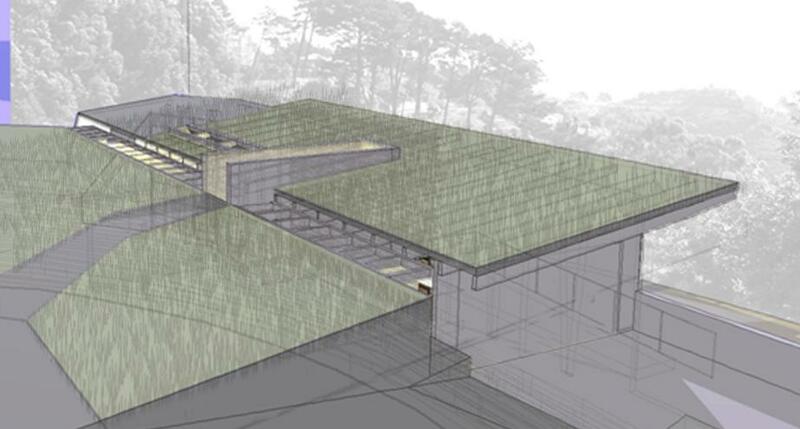 The rendering to the left shows how the lawn of the home uphill would be visually extended by the sod roof on the new residence. The green roof has the added benefit of helping with runoff, a concern for hillside residences, and thermal insulation. 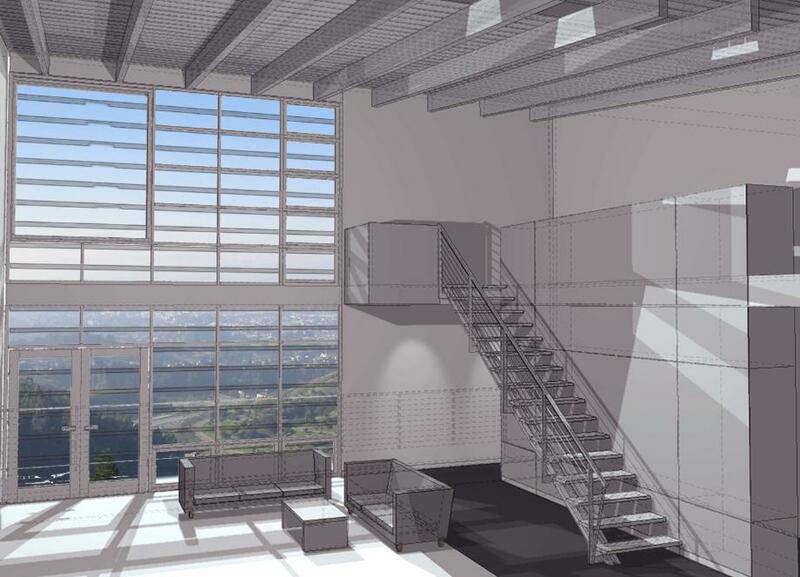 The interior reveals a large central living space with a large window to capture the stunning view of Oakland and the bay below. The remainder of the home features more modest rooms in a linear arrangement along the hillside.